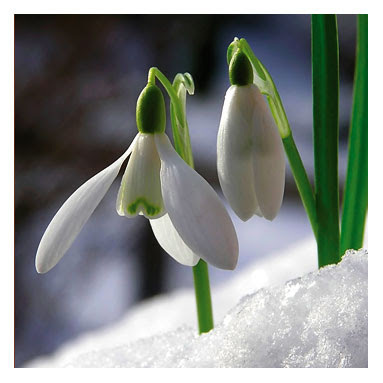 I saw my first snowdrops yesterday so Spring must be on it's way! This past weekend has given me the perfect opportunity to spend some quality time with my husband and my Mum. On Saturday I spent the day Xmas shopping with my Mum in Exeter and no I haven't gone mad I was actually Xmas shopping. I have been so busy since Xmas that I haven't had a chance to spend my Xmas money. It was so lovely not only to spend time with my Mum but also to indulge in a bit of retail therapy, I can't actually remember the last time I went shopping for anything other than food and drink! I managed to find the perfect pair of election trousers as well as an election cardigan in Jane Norman! I also got two fabulous new underwear sets which do make my top half feel a bit Jordanesque but they definitely compliment my body and are well made and extremely comfortable. My next stop was the body shop as I had realised that my make up bag probably needed condemning, I calculated that one eyeshadow was in fact 8 years old and my mascara was actually just a token effort as it had dried out some time ago, I had read about the new mineral make ups and how great they were so decided to treat myself to some new stuff. I want to say a huge thank you to the staff at the Exeter branch of the Body shop as they were so friendly and helpful, in particular I want to thank the lady who spent time with my Mum & I and who made us feel a million dollars. Their wonderful customer care paid off as by the time I got to the till I had £56 of products in my hand - Ouch! I can't recommend the new mineral products or the nutriganics moisturising range enough, they are simply fabulous. After our shopping experience it was off to Zizzi's for a bite to eat and some more great customer service and I have to say that the food was gorgeous! I would definitely go there again if I am ever in Exeter. My pumpkin risotto was divine and Mum's sea bass was even better. Thank you to my lovely Mum for being the best Mum in the world ever! On Sunday my husband and I went for a drive along the South Coast followed by drinks at the Admiral McBride and the Seymour arms indulging in some St Austell Proper job, Sharp's Doom Bar (our wedding ale) and Otter Brewery Ale. More great examples of customer serivce at both establishments. I must apologise to my husband for retiring to bed at 7.30pm but afternoon drinking does catch up with me quickly! Despite my early retirement I really enjoyed our day out and to have the chance to spend time together on our own outside the house. If you want some expert advice on buying shoes and doing housework in your underwear then look no further than Hayley's recent blog! More news to follow on the Pole Dance Community and UK Pole Dance Day. If you do have your own pole don't forget to check out this fab article by Tiny from Candy & Chrome on looking after your X-pole! Also thanks to Rebecca Drury from Seven veils productions for featuring the PDC on her blog. Off to practice my allegra and beast my 6.15pm advanced class.